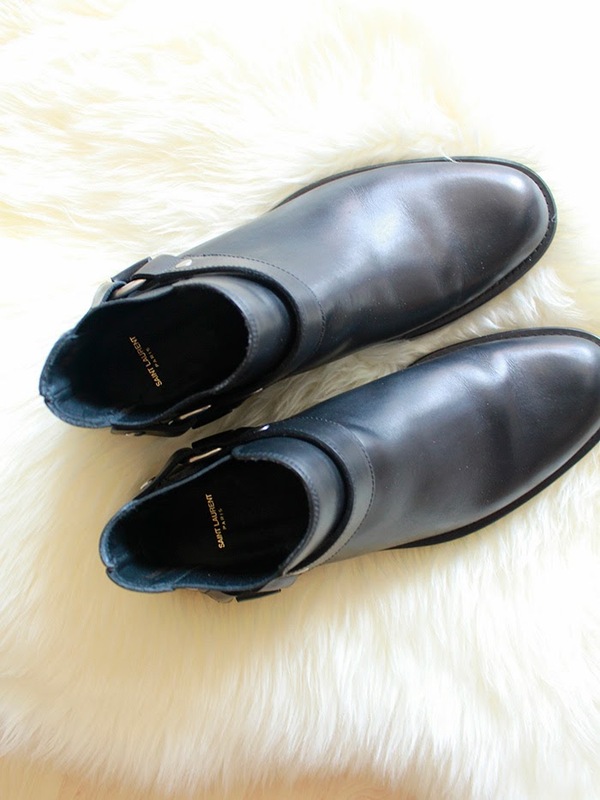 After I had been crazy about Hedi Slimane's work for a while I deceided to buy myself a pair of Saint Laurent boots. My first piece from his collections but absolutely not the last. I'm totally in love with these! Oh, i love these boots, you're a lucky man for have these boots, I want one!! Lucky you! Omg, I'm so craving these! jealous as hell! these boots are damn cool! Loving so much that stuff!! OMG! jealous! theyre absolutely beautiful! Wauw, love them to bits- Just perfect! OHMYGOD i really envy you man! I LOVE THIS BOOTS! TOTALLY MY STYLE.